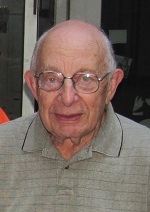 Leo Goldstein, 98, of Farmington Hills, Michigan, died after sunset on 28 March 2019. The Funeral was held at IRA KAUFMAN CHAPEL on Sunday, 31 March 2019 at 3:00 PM . Rabbi Aaron Bergman and Cantor Daniel Gross officiated.